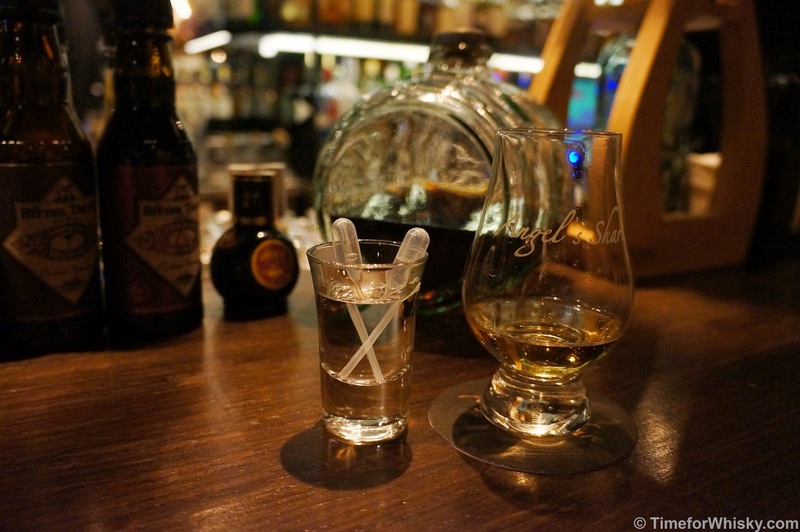 With the blog now having a joint focus on Hong Kong, a city famed for it's bars and nightlife, it would be remiss of us to not cover off the city's whisk(e)y bars (of which there are many*). 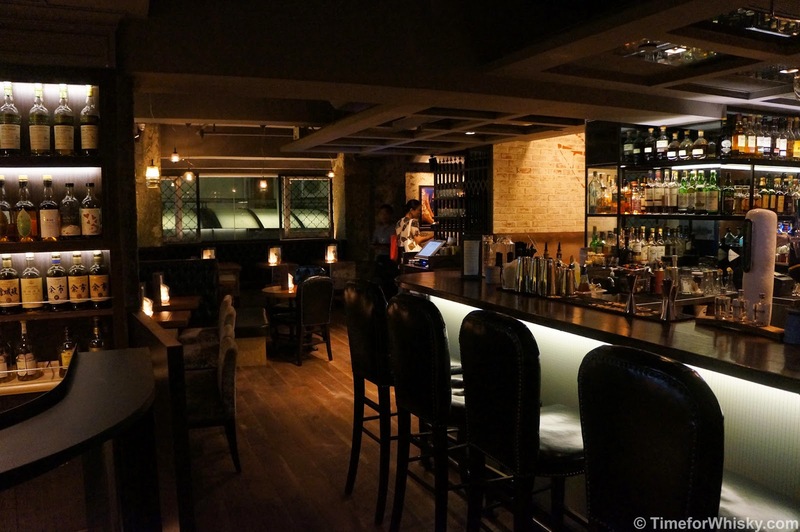 A few weeks ago we wrote about about Quinary, a fantastic cocktail bar in the heart of Hong Kong, and now it's time to cover their whisky-focused sister venue Angel's Share, a short stroll away. Angel's Share came recommended to Steph and I personally by Bill Lark of Lark Distillery a few months earlier, so we knew it had to be good. If Quinary is located in the heart of Hong Kong's Central district, then Angel's Share is really located in the heart, located on Hollywood Rd, a stone's throw from the Mid-Levels Escalator. Thankfully though, it's a world apart from the many touristy / ex-pat bars in the area, almost like a second floor refuge, with enough whisky to last a lifetime. Tried all the ones you want to try. 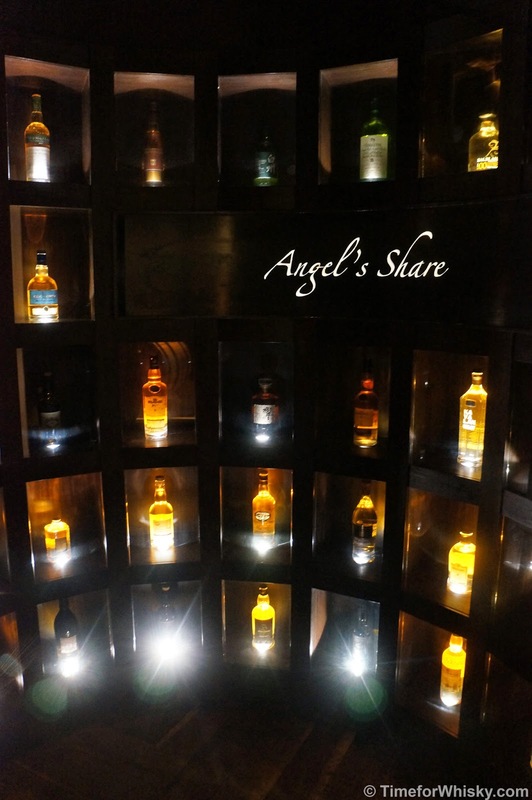 Thankfully that's not the case here, as Angel's Share boast a number of rare and unique whiskies, along with the usual favourites. 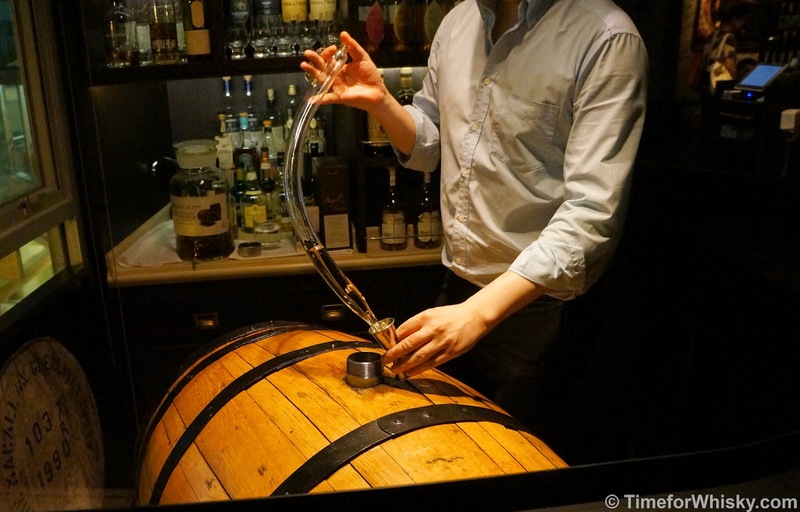 In addition to the aforementioned The Glenlivet 1995 17yo ($180HKD, approx $25AUD), and the former single cask Highland Park 1997 14yo (which used to reside in a cask but now lives in glass due to dwindling supplies), the menu includes gems such as the port pipe finished Bowmore Voyage ($290HKD, approx $40AUD), 21yo Douglas Laing's OMC Rosebank 1990 ($280HKD, approx $39AUD), 12yo Douglas Laing's Provenance Craigellechie 1999 ($118HKD, approx $16AUD) and three bottlings from Ichiro's Malt "card series". 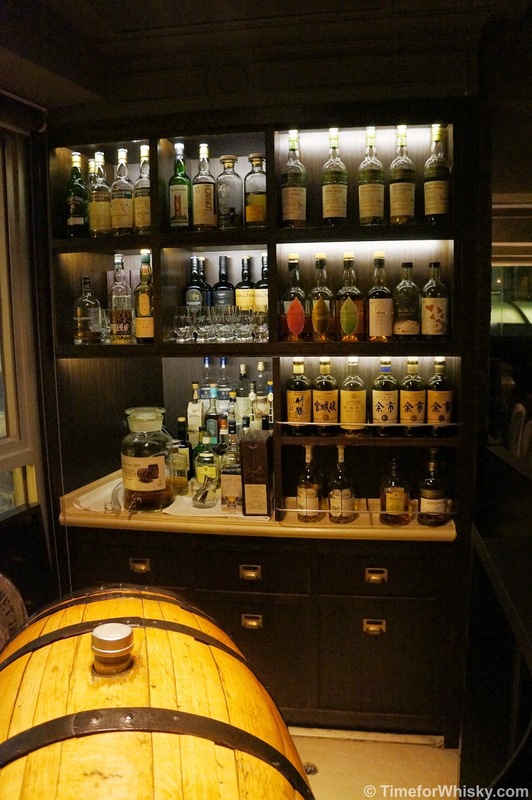 If those are a little extravagant, the menu has plenty of classics like Glenfarclas 105 cask strength ($118HKD, approx $16AUD), Balvenie 12 DoubleWood, Bowmore 12 and Laphroaig 10 (all $98HKD, approx $13.50AUD). Not bad considering Hong Kong's 100% tax on spirits. The bar is a generous size for Hong Kong, with plenty of seating available both at the bar and in cosy booths overlooking Hollywood Rd. Staff and management were all very welcoming and friendly, and it seems like the sort of bar who regularly update their whisky selection, as we spotted a the recently-released Highland Park Freya on the bar. For those who prefer their whisky mixed, the bar also offers plenty in the way of whisk(e)y cocktails, including some very interesting, tasty and uniquely Asian "Signature Old Fashioneds", like "Rittenhouse 100 proof rye sweetened with a refreshing touch of yuzu" and "Chinese dried logan infused Rittenhouse 100 proof rye, Okinawa black sugar replacing the traditional sugar cube". Angel's Share would be a great place to bring a group for drinks before or after dinner (or even during - they also serve food), but equally it's the sort of place you could drop in with your partner, or even solo. Welcoming, inviting, comfortable, and with a great whisky selection. We're sold! *and many more reviews to follow.